Under broad policy guidance and direction from the Library Board, the director performs professional and administrative duties in planning, developing, implementing, and directing public library services for the Horton Public Library. The director serves as the library’s primary public representative and is expected to represent the library within the community. The duties include but are not limited to budget preparation, assessing community needs, personnel, collection development, program development, and facility maintenance. Conducts an ongoing process to assess community needs and provide library services and programs to meet those needs in the most efficient and effective way. Evaluates programs and services and makes necessary changes. Formulates policies governing the library and recommends them to the Library Board for approval. Assists the Board in reviewing the policies annually. 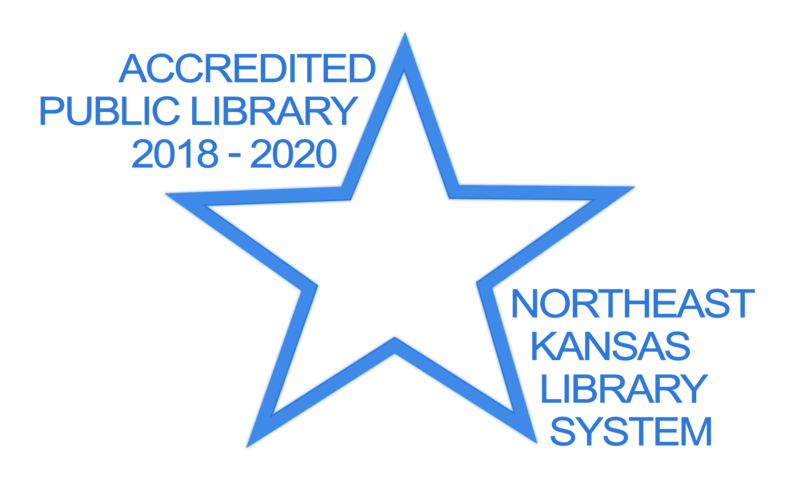 Assists the Library Board in maintaining the current Kansas State Standards of Public Libraries and Northeast Kansas Library System (NEKLS) accreditation and grant criteria. Maintains all written library polices and Library Board minutes. Works with Northeast Kansas Library System (NEKLS), Kansas Library Association (KLS), the Kansas State Library, and other local and state leaders to obtain appropriate legislation and funding to meet the needs of the community through library services. Prepares and submits an annual provisional budget to the Library Board Treasurer and assists in the preparation of the annual library budget. Manages the finances of the library to include payment of the accounts and personnel and the reconciliation of all bank accounts. Monitors expenditures and makes adjustments to the budget as necessary, including personnel changes. Provides necessary data for an annual financial audit. Seeks alternative funding sources. Prepares requests and administers grants according to specific guidelines. Prepares proposals to state agencies, foundations, and other organizations to fund new or supplemental programs and/or services. Coordinates fundraising activities with the Friends of the Library and other community groups as appropriate. Records and acknowledges all gifts to the library. Recruits, selects, hires, trains, supervises, evaluates, disciplines, and discharges librarians, library assistants and volunteers in accordance with policy and applicable state and federal laws. Develops and writes job descriptions for all personnel. Sets up orientation programs, in-service training, and continuing education opportunities for personnel and volunteers. Provides leadership by example in effective working relationships, communication and quality public service. Ensures the library is manned with paid staff members while library is open to the public, with exceptions approved by the Library Board. Evening and weekend work may be necessary. Directs the daily operations of the library to ensure the highest quality services and maximum utilization of resources. Supervises the selection and weeding of all library materials according to policy. Supervises cataloguing and classifying library materials. Acts as executive officer of the library and serves as a non-voting member on the Library Board and the Friends of the Library Board. Will attend all regularly scheduled Library Board meetings. Prepares agendas for regularly scheduled meetings of the Library Board. Provides and presents financial reports, summary of services, and program developments to the Library Board at regularly scheduled meetings. Reports are in the form of a Director’s Report. Attends local, state, and national library meetings as funds permit. Recommends repairs, alterations and additions to the library building and grounds. Ensures safe conditions for staff and public on the grounds. Responds to building emergencies and takes appropriate action. Ensures servicing of library equipment (e.g., computers, audio-visual equipment, heating and cooling machinery, etc.) to maintain proper working order. Acts as spokesperson for the library by addressing community groups to inform them of library resources and services. Assists patrons in the use of print materials, equipment and technologies by answering questions, offers basic technical assistance, troubleshoots computer problems, assists in navigating the internet, locates databases in order to help patrons use library resources. Establishes and conducts a public relations program that produces good will and promotes the library and its services to the community. Utilizes appropriate means of communication: brochures, posters, newsletters, displays, newspaper column, local web page and social media. Promotes partnerships and cooperative projects with other community organizations. The library shall employ as director a person who has at a minimum graduated from high school. The applicant will have a good practical working knowledge of computers, Microsoft Office software, the Internet, and app usage. Ability to effectively communicate ideas and information in both verbal and written form. Ability to read and comprehend print information, including technical, statistical, and financial information. Experience in public services and dealing with the public preferred. Familiarity with library organization and operation a plus. The physical demands to perform this job are the ability to talk and hear, use hands to finger, handle, feel or operate objects or controls, sit, stoop, kneel, crouch, and lift and/or move up to 50 pounds. Hand-eye coordination is necessary to operate computers and office equipment. Specific vision abilities required by this job include close vision, distance vision, color vision, peripheral vision, depth perception, and the ability to focus. Cover letter and resume, written application, oral interview, reference check, and job- related tests as required by the Library Board. I hereby understand and acknowledge that any employment relationship with the Horton Public Library is “at will”, which means that the employee may resign at any time and that the Horton Public Library may discharge the employee at any time, with or without cause. It is further understood that the “at will” employment relationship may not be changed by any written document or by conduct unless such change is acknowledged in writing by an authorized executive of this organization. The above job description is not an employment agreement between the employee and employer. Changes will be made by the employer as the needs and requirements of the job change. I have read this job description and am qualified for the position it describes. I hereby certify my ability to perform all essential functions of the position as stated in this position description. The specific statements shown in each section of this description are not intended to be all inclusive, but represent typical elements and criteria considered necessary to successfully perform the job.